New Delhi: Contrary to the demands of the Opposition and a section of the media, the government does not believe the fate of any one individual can serve as an “acid test” of Pakistan’s commitment to act against the perpetrators of last November’s terrorist attacks in Mumbai. But senior officials acknowledge the line they are walking is a fine one, demanding that Islamabad act against high profile terror propagandists like Lashkar-e-Taiba chief Hafiz Saeed while not allowing the future course of Indian engagement with Pakistan to be narrowly tied to his status alone. In the fog that has enveloped Indian politics post-Sharm-el-Sheikh, however, such subtleties tend to get lost on the UPA government’s critics. 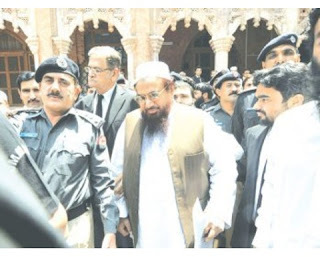 On Tuesday, Opposition MPs cited a newspaper headline —“Saeed trial acid test for Pakistan: Krishna” — to demand that the government not agree to talks at any level with Islamabad until Saeed has been punished. The BJP asserted, on the basis of the same newspaper report, that the views of the External Affairs Minister differed from the contents of last month’s India-Pakistan joint statement and that the government should clarify which was correct. Had they read beyond the headline, of course, they would have seen that nowhere in the story did S.M. Krishna actually refer to the case against Saeed or any other individual as an “acid test,” let alone a precondition for the Foreign Secretary-level talks that the Sharm-el-Sheikh statement provides for. Senior officials say the demand for such acid tests is simplistic and runs counter to the policy of flexible containment New Delhi has followed since November 2008. The government, they say, has been careful not to tie itself down to a narrow metric for measuring the degree to which Pakistan is taking action against terrorist groups operating from its soil. This ambiguity allows India the option to keep pressing Pakistan to do more than it has done at any point in time while keeping a window open for calibrated normalisation when it is clear that Islamabad may be unwilling or unable to neutralise all or some of its assets. According to South Block sources, what New Delhi wants is action against the planners and perpetrators of the Mumbai attack and credible action by Islamabad to ensure that Pakistani territory is not used by terrorists to strike India. In practical terms, this means first disabling and then dismantling the infrastructure of terror that was developed as an instrument of military policy by Pakistan’s intelligence agencies over two decades. By all accounts, Saeed occupies an important spot in that infrastructure and Indian officials would like to see him put out of commission. Though they concede this is unlikely to happen, insisting on action serves as a deterrent to the LeT which might fear an increase in international pressure on Islamabad in the event of another attack. But if insistence is turned into a precondition, the strategy runs the risk of going down a dead-end. Even if Islamabad fails to deliver on the Saeed front, the Indian side believes the proper and sustained prosecution of the LeT’s Zaki-ur-Rahman Lakhvi and Zarrar Shah would ultimately affect the ability of Saeed and all Pakistan-based terrorist handlers to run operations. Effective immunity and the presumption of official patronage have been the primary drivers behind the ability of jihadi organisations to recruit cadres. If that immunity were to disappear, even if for LeT foot soldiers, a crack in the terrorist infrastructure would have been effected. Sid, where do you place Army here?